Singapore Airlines is a world class carrier serving South East Asia as well as being a Star Alliance partner providing regional service through the alliance member reward programs. Premium long haul travel is readily available though Krisflyer, Singapore Airline's reward program. With an all wide-body fleet exceeding 100 aircraft including the Airbus A380, Boeing 777 and new Airbus A350, Singapore Airlines is one of the most desired travel experiences in the sky. Singapore Airlines was the launch customer for the Airbus A380. On October 25, 2007 the first revenue flight took off from Singapore to Sydney, Australia. With this flight the First Class Suite gave birth to a new age of ultra luxury travel. The First Class Suite is an individual cabin with sliding doors that create a level of privacy never experienced on a commercial airplane. A leather upholstered 35 inch wide seat is separate from the 78 inch bed. For couples the center two suites can be converted into a single large suite. Add in Singapore's signature turndown service, vintage champagne and wine, Book the Cook premium dining and 23 inch LCD monitor for entertainment and you probably will never want to leave. The First Class Suite is only available on A380 flights. With 19 of these aircraft in their fleet (plus 5 on order) and each plane with 12 Suites, it makes the possibility of Reward Flying realistic as they do open reward inventory. 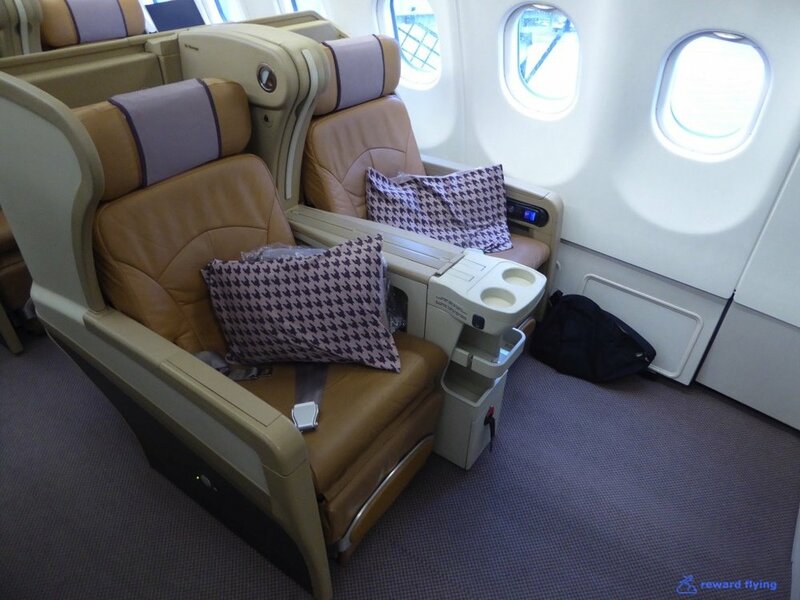 In 2013 Singapore Airlines introduced the "New First Class" on 777-300ER aircraft in a 4 class configuration. However there are only 4 seats in each airplane making this a more difficult reward to procure. The 35 inch wide seat extends to an 80 inch bed and comes with the same incredible Singapore Airlines first class service and amenities. 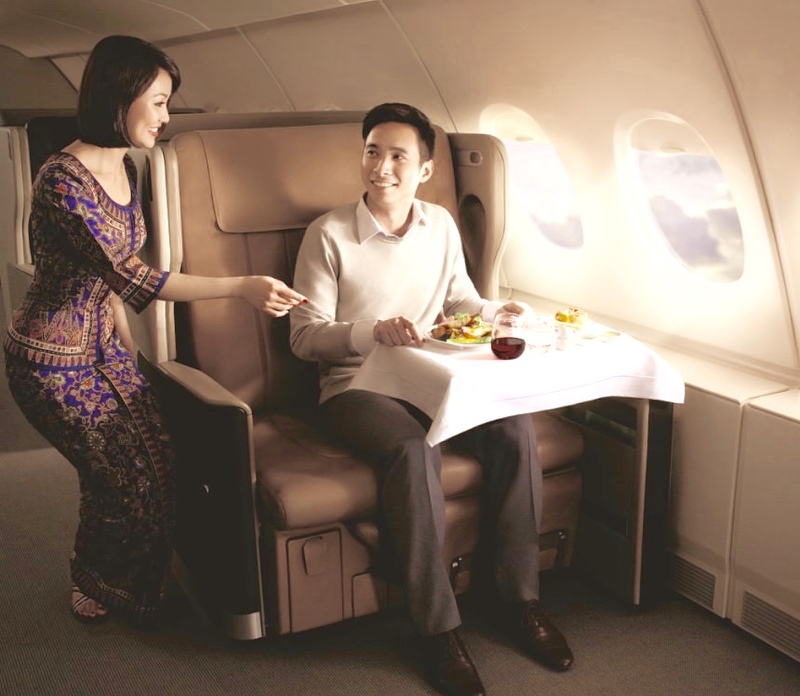 Skytrax voted Singapore with having the World's Best First Class Airline Seat. The "Other First Class" as its referred to, almost like an unwanted child, looks pretty good to us. Still 35 inches wide this seat is one of the largest first class seats in the sky, with only Cathay Pacific wider at 36 inches. Pitch is less however at 71 inches. A 23 inch monitor provides entertainment and all the amenities make for a wonderful first class experience. Debuting on the new 777-300ER and also the Airbus A350 aircraft to be delivered starting in early 2016, is Singapore's New Business Class. 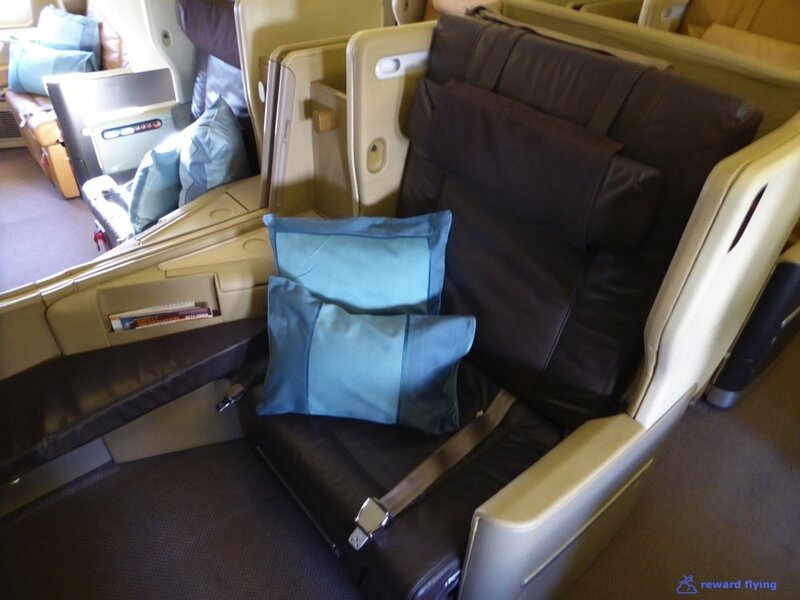 Another 2015 Skytrax award for Singapore is having the World's Best Business Class and this seat certainly has something to do with that award. With 28 inches of width this seat dwarfs what some airlines call first class. The seat can recline to 135 degrees and will also lie flat for 78 inches of bed length. Add in all the ports you need for your electronics, a 18 inch LCD monitor for Krisworld entertainment along with Singapore's signature service and its not hard to see why they are often called the best airline in the world. This business class seat is commonly called the "Long Haul" business class seat. At 30 inches wide and completely lie-flat. it ranks as one of the most spacious business class seats in the sky. The seats are leather and can be called "old school" as they look like a standard forward facing seat and aren't in a compartment like the majority of newer business class products. That doesn't take anything away from this seat as it's constantly given high marks from Singapore business class passengers. And because they are forward facing the cabin appears much more open than the new angled styles like the reverse herringbone arrangement. For regional medium distance routes, Singapore offers a leather Zodiac 8711 Twin Aisle seat that is 24.5 inches wide with 60 inches pitch and is a called an inclined flat seat, meaning it goes to 172 degrees. All these configurations are 2x2x2. These are installed on the A330 and 777-200 V2, where on the 777 you can tell if row 18 is missing from the mini-business cabin it's this seat. Two other aircraft have older business class seats. 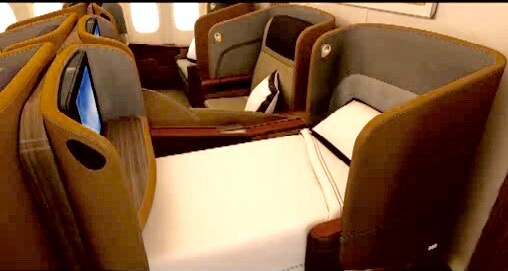 The 777-200 V1 (30 business class seats laid out 2x3x2) and 777-200 V2 (does have row 18 in business class), have a fabric recliner seat that is 20 inches wide. Finally the 777-200ER V3 has an older 27 inch wide flat bed seat. The seat specifications below shows how to distinguish between all these aircraft. The photos directly below are of the 24.5 inch wide regional leather seat. Have you flown on Singapore Airlines? Share your experience with others in the comments section.